It is always a bummer to learn that your favorite food or beverage product contains dangerous chemicals. Of course, given the remarkable advances that have been made in food preservation methods, we cannot always be sure what exactly is contained within processed drinks and food products. Since very few people in developed parts of the world are starving, some consider unpleasant or even harmful chemicals that find their way into our foods as a price we pay for the benefit of food abundance. However, this is a minority opinion, and the public reaction to ingredients that are not listed on product labels is always a negative one, especially when the unlisted ingredient turns out to be a legitimately harmful substance. If you are a lover of carbonated water, then there is a good chance that you have consumed the popular La Croix brand at some point in your past. Hopefully, you do not drink La Croix regularly, as the company that produces the popular carbonated water beverage is being faced with a lawsuit over the cockroach killing chemical that was allegedly found in the carbonated water during testing. La Croix proudly advertises their “all natural” ingredients with the hope that consumers will regard their products as being more healthy than competing products. Despite this claim, one woman, Lenora Rice, had the La Croix brand carbonated water tested and it turned out that it contained a chemical known as “linalool propionate.” Linalool propionate is a chemical that is commonly used to kill cockroaches. In addition to finding this roach-killing chemical, Rice found that the drink contained a number of other synthetic chemicals. A CBS news team in Philadelphia recently broke this unfortunate news, which has since gone international. In response to the allegations, officials with La Croix have adamantly denied that linalool propionate or any other synthetic substance is contained within their beverage. Although further testing is needed in order to confirm Rice’s findings, consumers may want to wait before buying another pack of La Croix, unless you plan on using it to kill cockroaches, that is. Do you believe that La Croix carbonated water contains a popular roach-killing chemical in all of their cans? Most people prefer to live within a clean home, but that does not necessarily mean that clean homes are more common than dirty ones. Wanting a clean home is one thing, having the discipline and motivation to maintain a clean home is quite another. Although there are many people who struggle to prevent their homes from becoming a giant clothes hamper, most people would feel motivated to clean after discovering cockroaches, maggots and fleas in every corner of their home. Surprisingly, there does exist people who don’t seem to mind sharing their homes with the most disgusting insects that you can imagine. For example, a Florida man was recently arrested and charged with child abuse and neglect after police officers discovered the man’s child living in a home containing numerous insects of varying species. An anonymous tip led police officers to a filthy home that contained the filthiest insects imaginable. These insects include cockroaches, fleas, maggots and flies. The cockroaches were so abundant in the home that police officers could not glance in any direction without seeing several roaches. When police arrived at the man’s residence they found a child and a bedridden man alone in the home. Once the child’s father, Mark Cameron, arrived to the residence, he was promptly arrested for child abuse and neglect. The bedridden man turned out to be Cameron’s stepfather. In addition to the insect presence in the home, there was no running water, which means that the child was unable to bathe. Animal control officers removed 15 cats from the premises as well as one dead one, which likely contained maggots. The floors were covered in cat feces and maggots, so the authorities had to watch their every step closely. The child’s mattress was covered in feces, urine and fleas. The boy claimed that his father beat him when he attempted to clean the home. Luckily, this man will not be leaving jail any time soon. 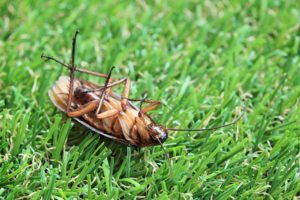 Have you ever encountered a home that was infested with more than one insect species? Having a cockroach infestation is not only stressful, it is also horrifying…unless, of course, you think that cockroaches make for loveable pets. However, there are worse types of insect infestations. For example, a bed bug infestation can result in physical injuries, and eradicating these bugs from homes can be time consuming, inconvenient and sometimes unsuccessful. Then there are termite infestations. These infestations can go unnoticed for years and can result in thousands of dollars in damages. In some extreme cases, homes can be demolished as a result of irreparable termite damages. On the other hand, cockroaches do not typically bite humans, nor do they cause structural damages. Also, due to their relatively large size, cockroach infestations are usually noticed relatively quickly. Although, on the surface, it would seem that many types of insect infestations are more undesirable than cockroach infestations, there is something about a houseful of roaches that many people cannot tolerate. There are very few people in the world that know this better than the residents of one neighborhood located on the Northside of Alliance, Ohio. Due to the careless and unsanitary habits of two residents in the area, a cockroach infestation within their homes has spread to several nearby houses. Surprisingly, the resulting infestations have proven difficult to eradicate, as this problem has persisted for a period of two months. 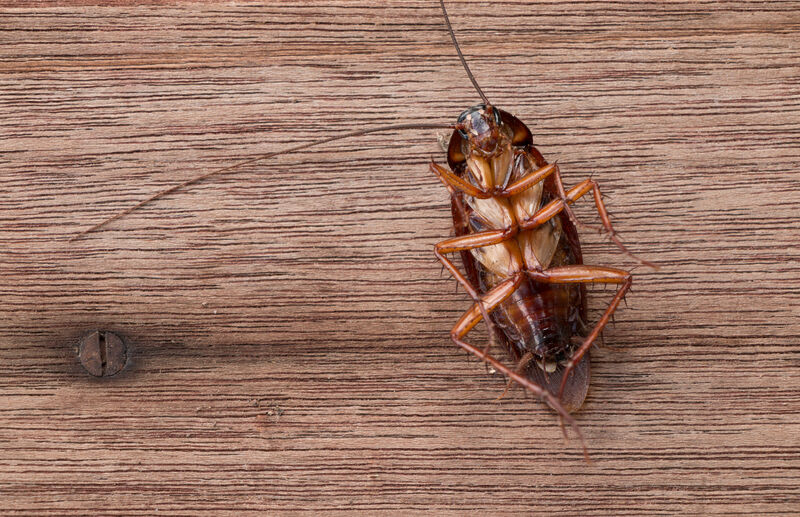 For quite some time now, literally thousands of cockroaches have been skittering out to two homes located on the 400 block of West Wayne St. Back in July, a resident living in the area reported a long-running cockroach infestation that had been noticeable in the home located at 474 West Wayne St. A short time later, a house located a few doors down also become a haven for cockroaches. Now the cockroaches have infested multiple houses in the area, and the insects have even managed to travel to the end of the block. The city health commissioner is currently working with the home’s owners as well as pest control authorities in order to get the enormous infestation under control. According to the commissioner, by the time he received the complaint, the infestation was already a neighborhood-wide problem. The cockroaches, which can be seen in people’s yards, clearly number in the thousands. If you were one of the affected residents living on Wayne St., would you consider a lawsuit against the owners of the two roach-infested houses? It is beyond unfortunate that we live in a world where child-neglect is a thing. Sadly, child-neglect is all too common. This is surprising, as you would think that any parent would be instinctively inclined to care for their own offspring. However, if you look up child-neglect online, you will find numerous news stories telling about extreme cases of child-neglect. In many of these cases, children are found within insect-infested conditions. Sometimes, the neglected children suffer insect-related injuries, such as bites and even infections that were left untreated. For example, back in 2012, a news story out of the United Kingdom described a mother who kept her baby in a cage that also contained numerous cockroaches. When this baby was rescued by officials with the Department of Human Services, cockroaches were found crawling in and out of the baby’s diaper. Additionally, the baby had sustained multiple bites from the roaches. This case may seem extreme, but sadly, it is far from being the most tragic instance of child-neglect. During the month of April, in 2015, one Oklahoma mother was arrested for child-neglect after police found the corpse of her baby within a home infested by cockroaches. Even more appalling, when the baby was found, she was being eaten by several of the invading cockroaches, which is, without a doubt, the most horrific aspect of this story. A woman named Brittany Cherokee Dawn Bell was arrested in 2015 after authorities found several cockroaches “nibbling away” at her baby’s lifeless corpse within her filthy home. Bell, 27, claimed to have found her daughter’s corpse after waking up from a nap. The baby was only five months old before she tragically died due to unknown causes. The medical examiner was unable to determine the cause of the baby’s death, which is why Bell was charged with child-neglect as opposed to homicide. When pushed for an explanation regarding her daughter’s death, Bell proceeded to blame her other two children. Bell was under the impression that her two eighteen month old twins suffocated their sister after sitting on her. Authorities are far from convinced that this was the cause of the baby’s death. Do you believe that the Department of Human Services should require parents to provide reasonably insect-free living spaces for their children?